We face this morning of January 19 with a heavy heart as we say goodbye to one of the country’s top business leaders, philanthropist, and a remarkable family man, Mr. Henry Sy, Sr. 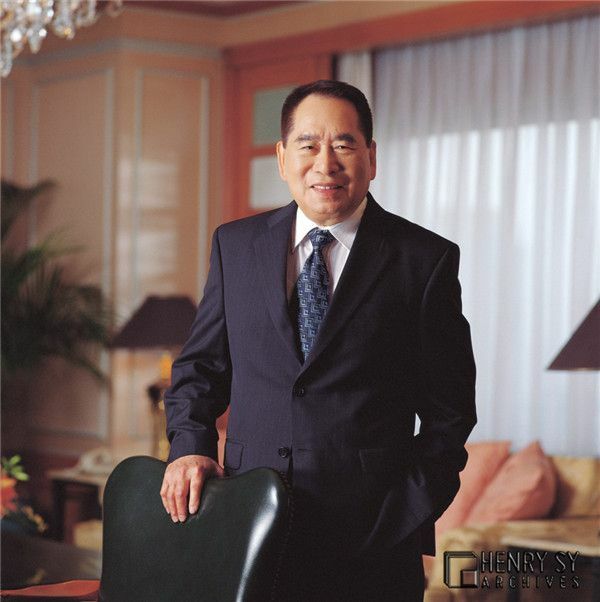 Among his accolades, Mr. Henry Sy, Sr is considered the country’s wealthiest man with a net worth of USD 19 Billion. Beyond the value of his empire, he inspired generations of entrepreneurs and leaders on how he built his empire from a shoe store in Manila. He was once quoted, “I started with shoes, and with hard work and discipline, the business prospered.” Indeed, prosperity was the result of years of hard labour. From a single store in Rizal Avenue, to the second in Carriedo, followed by two others in Makati and Cubao. Today, there are 74 SM Malls around the Philippines, and SM has expanded its business from retail to real estate, entertainment, hospitality, banking and more. Scholars of SM Foundations. Photo from SM Foundation. Despite being a hands-on businessman whose schedule was always full of meetings and inspections, he always gave importance in making time for giving back. Mr. Sy once shared, “Not everything I do is purely for money. Of course, as a businessman and as head of publicly listed companies, we have to earn, but at this point in my life, there are other considerations more important besides just money.” He established the Henry Sy Foundation which aims t empower the Filipino youth through opportunities in enhanced educational institutions. Throughout his lifetime, he has donated so much in various scholarships and infrastructure projects to enhance the learning experience in the country. Sy Family on the cover of TIME Magazine. It may sometimes have been overshadowed by his business success, but those close to the Sy family or who had taken the time to notice know how much of a loving father and devoted friend he is. He was devoted husband to Felicida Tan-Sy. Their love story began when a young Henry Sy saw a captivating 16-year old Felicidad Tan. In 1950, he married her and their family grew to bear six children, Teresita, Elizabeth, Henry Jr., Hans, Herbert, and Harley. At an early age, his children knew that their father was so great that they had to share him with the rest of the world who has dubbed him as the Father of Philippine Retail. Henry Sy, Sr lived a colourful life of 94 years celebrated by a legacy of innovation, love for family, and genuine passion for the growth of the Philippines. He will truly be missed.